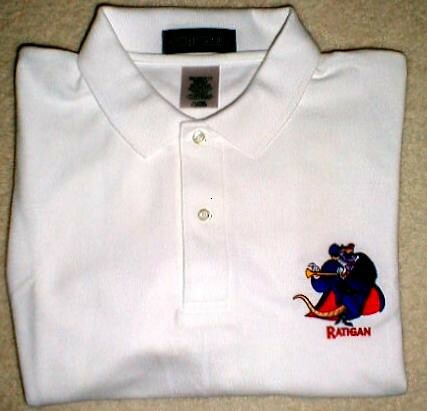 Description: This is a polo shirt with Professor Ratigan that was given out to the Disney crew members during the making of The Great Mouse Detective film. This photo came from the Collection page of the site, Walt Disney's Great Mouse Detective, by Whatsits Galore and is used with permission. Please DO NOT take it without asking the original owner first.